The Choir is made of a group of professionals and amateurs who enjoy singing. 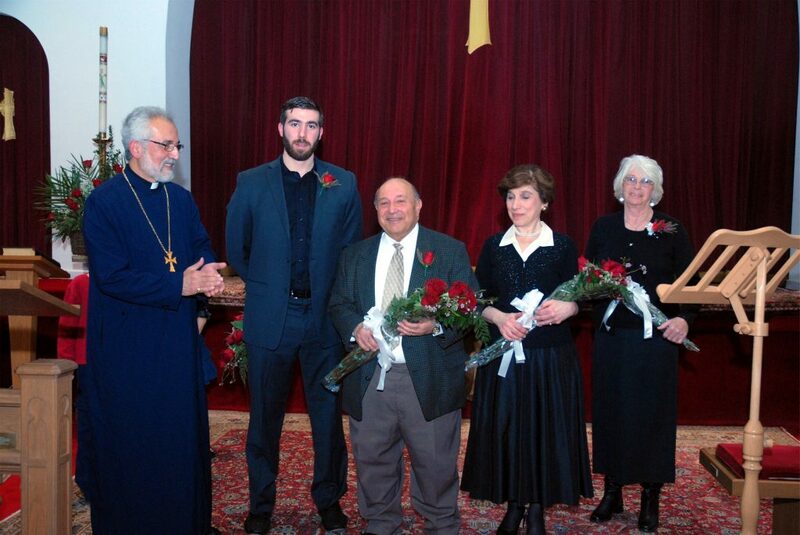 Most of our members have been singing from an early age and held prominent roles in Armenian operatic productions. Our St. Gregory Church Choir is looking for additional voices, sopranos, altos, tenors and basses. Teenagers are welcomed and especially encouraged to participate! Weeknight rehearsals begin at 7:30PM sharp; Sunday rehearsals begin immediately following Badarak. 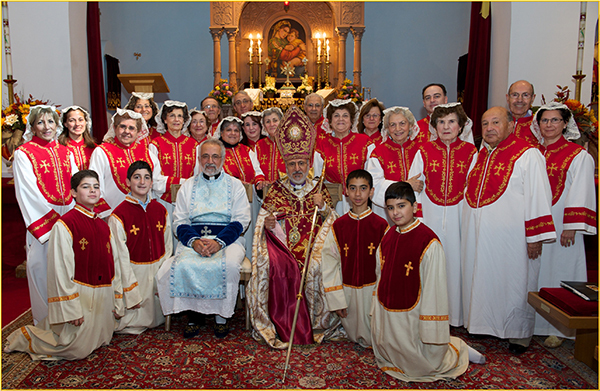 Maroush Paneyan Nigon, soprano, is soloist and choir director at St. Gregory the Illuminator Armenian Apostolic Church of Philadelphia. She has given many recitals over the years for both Armenian and non-Armenian audiences. 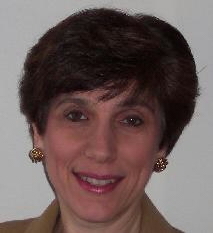 On several occasions, she has appeared as featured soloist with the KNAR Armenian choral group. She has appeared with the Orchestra Society of Philadelphia, Haddonfield Symphony Orchestra and the Chestnut Hill Symphony Orchestra. She is an active member of the Bel Canto Lyric Opera Company and has participated in many of their performances as a soloist. The company performs operatic excerpts at venues throughout the Delaware Valley and New Jersey. She has been a featured artist in a recital sponsored by the Armenian Prelacys Musical Armenia at Weill Recital Hall in New York. 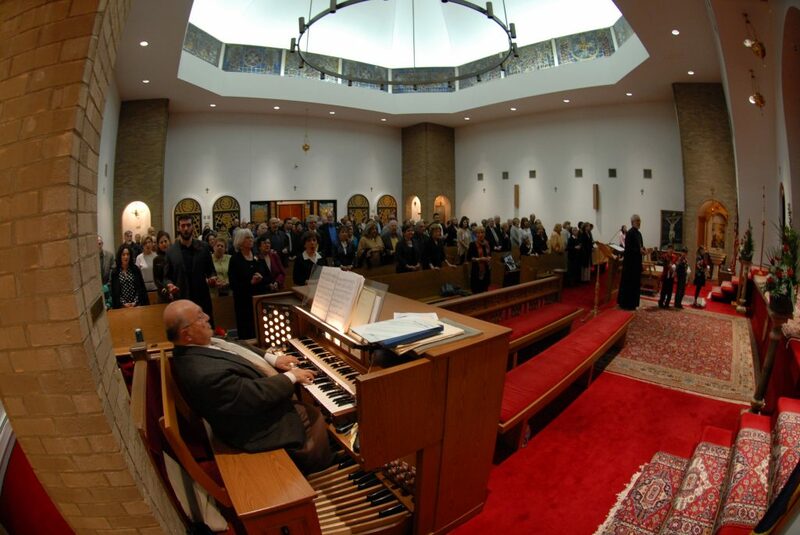 Recently, she gave a benefit recital for St. Gregory the Illuminator Church. In addition to the standard classical works in Italian, German and French, she gives special care to the interpretation of Armenian songs and sharagans. She teaches music to all grades at the Armenian Sisters Academy and gives private voice lessons. Ara H . Eloian at a young age, he was the organist and choirmaster of St. Gregory’s 16th and Oxford Street location. His Piano training with Krikor Suni (a student of Rimsky-Korsakoff) and continued with Araxie Samuelian (a student of the Maestro). He continued his studies at the Philadelphia Conservatory of Music with Joseph Arcaro. He began his organ training also at the Conservatory with Robert Elmore and Robert Browne, where he received his B. Muaic. For 17 years he was organist and Master of the Choirsters at the Church of the Holy Trinity Episcopal Church, Collingwood, New Jersey. He studied at the Philadelphia Divinity School to extend his knowledge of music in the Episcopal Church with guest instructors Dr. Leo Sowerby, Alec Wyton Cathedral of St. John the Divine, NY and Newell Robinson of the Divinity School. Was also awarded the St. Dunstan Award by the Bishop and New Jersey dedication to the Episcopal Church. During the administration of Richard Nixon, the choir of Holy Trinity sang for the TREE Lighting ceremony in Washington. Mr. Eloian was also accompanist – organist and associate conductor of the Delaware Country Choral Society (which performed with the Philadelphia Orchestra presenting Handel’s Messiah and Mendelssohn’s Elijah. Choral and organ compositions were dedicated to Mr. Eloian by prominent composer Edward H. Wetherill. 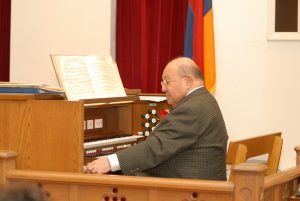 He was also the Conductor of Camden-Woodbury Convocation Junior and Adult Choir Festivals, and the Armenian Community Signers and is a member of the American Guild of Organists. Mr. Eloian has been the organ recitalist on the John Wannamaker Grand Court organ, Philadelphia; in Trinity Cathedral, Trenton, New Jersey; in the National Cathedral, Washington, DC and others. For 33 year he held the position of Director of Music and Organist Lehman Memorial United Methodist Church, Hatboro, PA, where he was responsible for their extensive music program. Must I attend each Sunday? It is not essential that members sing each Sunday. Are there regular rehearsals so that I can learn the Badarak? Yes, there will be monthly rehearsals following Easter. Special arrangements may be made for additional instruction. Rehearsals for Holy Week and Easter are shown here. No, if you have a nice voice you are welcomed to sing. Must I have formal music or voice training to sing? No, our choir is flexible. A nice voice and willingness to sing and learn are all you need.